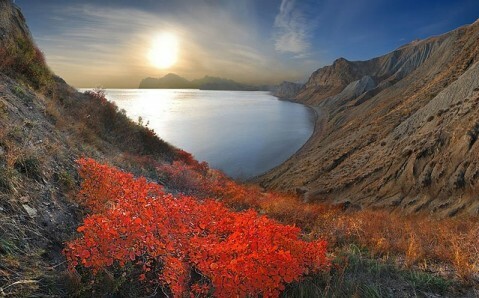 The Crimea is, without a doubt, the most glistening stone in the jewel-box that is Ukraine. If anybody ever got the idea to put this peninsula into a crossword puzzle, he would have much trouble defining it in just one phrase. It is the sun-baked land of the south. It is the subtropical paradise, too. And the Crimea also rests in that rare geographical location, in which broad, fertile plains lay adjacent to grand mountains, warm beaches and rocky cliffs. Scythian burrows share land with ancient ruins. Orthodox churches stand next to ancient mosques. In this land, each stone underneath your feet pulses with history, legends and fairytales. 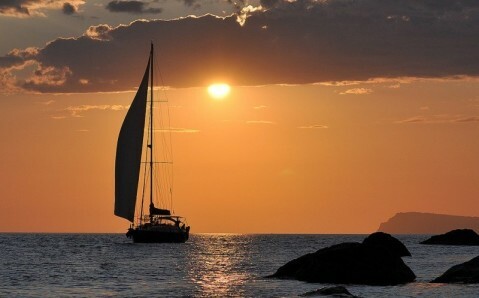 Most travelers visit the Crimean peninsula in search of high quality rest, whatever their pleasures may be. 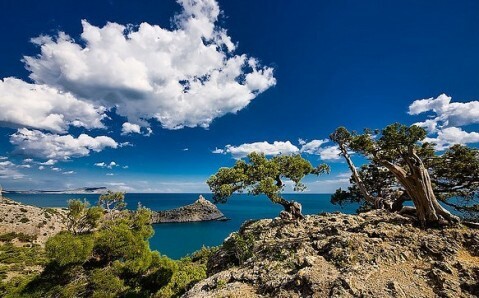 Due to the mild climate, tender Black Sea, and wealth and variety of nature’s blessings, Crimea is a great place for a calm getaway with the family. But it is also a playground for those looking to spend their vacation in more active ways. A plethora of fantastic health resorts are available to those who come here, the majority of which are situated on the peninsula’s southern coast. 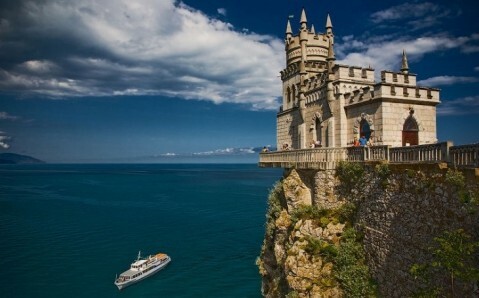 The epicenter of Crimean life is rightly considered to be the city Yalta. Though, in former times, it used to be only a small fishing village, it has turned into a resort capital. Yalta has much to offer a tourist: from basking in the sun on a warm beach, to spending time in more active ways and exploring the natural and architectural sights of the peninsula. Close to Yalta are majestic palaces and parks, which used to be a summer residence for Russian tsars and aristocrats. The Vorontsov and Massandra Palaces have the most interesting architecture. 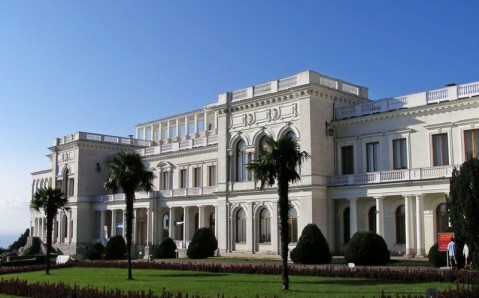 And the Livadia Palace has, in addition to cultural importance, historic significance: right here, at the end of the Second World War, important political decisions about the redrawing of the world map were made. Among the natural wonders of Yalta, the Nikitsky Botanical Garden is perhaps the most popular destination. The garden is one of the oldest in the world, and it retains a unique collection of plants from Ukraine and abroad. But the best way to contemplate the beauty of Yalta is from the top of the most famous mountains in Crimea, the Ai-Petri. The views from its plateaus are fascinating, even for seasoned globetrotters. During the summer, you can admire a peculiar natural monument, the Big Canyon, on horseback, and taste authentic Tatar tea. And in the winter, when Ai-Petri is covered with snow, you can hit the slopes for skiing and snowboarding. When you set foot in Crimea, you cannot help but be astonished by the number of historical events and personalities that have left their marks on this land. A clear example of this is the ancient city Bakhchisarai, where the Crimean Khan resided. The unique palace is influenced by Central Asian and Seljuk architecture, as well as the European Renaissance and Baroque architecture. Not far from Bakhchisarai, real marks of history remain – the cave-towns of Chufut Kale and Mangup Kale. Yet another gem of medieval architecture – the mind-boggling Genoese Fortress - adorns the resort of Sudak. The ruins of ancient Chersonesus City - one of the centers of Antiquity civilization of Northern Black Sea region - also allude to Crimea’s rich history, myths and legends. Strolling through the city, it becomes clear why the Crimea is sometimes called the realm of gods. 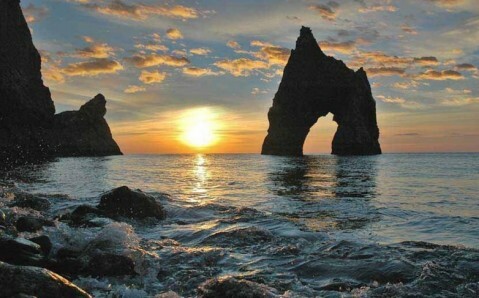 The otherworldly volcanic mountains of Kara Dag (Karadag Nature reserve), and its famous Golden Gates (which can be, without exaggeration, called the gates to paradise), also support Crimea’s epithet. The white stoned city Sevastopol keeps Crimea’s traditions. Cruel fate had forced upon the city, which was originally built as a fortress to protect against naval attacks, three devastating land invasions in a span of 100 years. Today, the Monument to Heroes of Crimean War, the Monument to Sunken Ships, and the Panorama Museum remind visitors of the city’s hard past. Other wonders of this city include the inviting turquoise bays (Balaklava and Laspi) and the beautiful capes (Cape Aya and Cape Fiolent). In recent years, the Crimean peninsula became a home to many international festivals. The Koktebel Jazz Festival and Kazantip Rave Festival have attracted large attendance. And of course, the Crimea is full of story tale grottos, unique caves, charming waterfalls, endless vineyards… We can spend years enumerating the region’s endless virtues. But the best thing to do is to come see them for yourself!